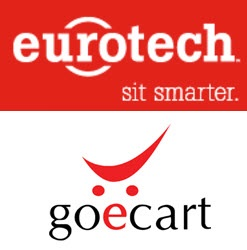 Eurotec has selected GoECart to provide order management and back office capabilities for its multiple branded ecommerce properties. GoECart’s enterprise-class OMS and robust back office allow us to reliably serve our customers using the branded touchpoints they expect while seamlessly integrating with our trusted commerce and logistics partners. GoECart provides a complete commerce platform, GoECart 360, which enables emerging brands and established merchants to manage all aspects of unified commerce—from ecommerce, multi-channel order and inventory management, and in-store POS, to marketing, merchandising, e-marketplaces, fulfillment, and customer service. GoECart eliminates technology and integration hassles, allowing businesses to run better and grow faster. Additionally, GoECart’s cloud-based delivery model delivers on the rewards of software-as-a-service (SaaS). These include zero investment in infrastructure, no integration headaches, free upgrades, and affordable, pay-as-you-go pricing. For more information, visit GoECart.com. Eurotec Seating is the leading provider of high-quality home theater seats, multimedia sofas, movie chairs, and home theater decor since 1997. Their mission is not simply to provide a piece of furniture to sit in; it is to provide an exciting centerpiece for gatherings of friends and family that will last through years of relaxation and enjoyment. Since 1997, Eurotec has grown to become the largest in-stock dealer of home theater seating in the country, with over 10,000 seats in their warehouses. Eurotec’s inventory is constantly updated with new seats, many featuring the latest in technological innovation.